When Visiting Port Hardy Stay At The Friendliest Hostel On Vancouver Island! 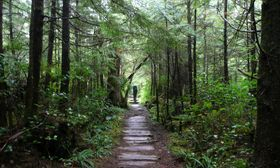 North Coast Trail Backpackers provides budget accommodation right in the heart of Port Hardy with ocean views. 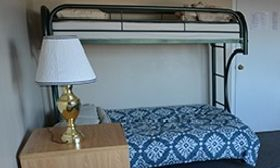 We provide both Dorm bed and Private room options as well as Group private rooms. For larger groups we have 2 self contained 4-5 bedroom suites. These suites have their own kitchen and lounge facilities. Our staff is friendly and knowledgeable. Whether you are looking for the best budget or fine dining, booking tours, the best trails to hike, or where the local eagle's nest is we can help you. Further information about our dorm and private room options. Make a reservation inquiry today! Further information about activities available in the Port hardy area.